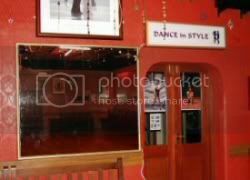 Martins Dance Centre opened on 5th December 1937, and up to the present day has continually provided the people of Merseyside with lessons in all types of dancing. 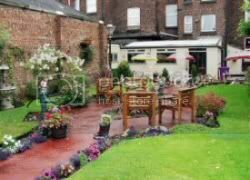 It was owned and operated by Mr Billy Martin, a name that was synonymous with Ballroom Dancing throughout Merseyside, and his wife Pauline, who during the war years continued to run classes on her own. Mr Martin was a founder member of the ALLIED ASSOCIATION TEACHERS OF DANCING which was inaugurated in 1921 by Professional Teachers from Merseyside to create a uniform technique for Ballroom Dancing. It is now known as the ALLIED DANCING ASSOCIATION and is a Corporate Member British Dance Council. Mr Martin was for many years President of the Association. Private lessons by arrangement. Please contact us for details. Now owned and run by Mr John and Mrs Suzanne Murphy. 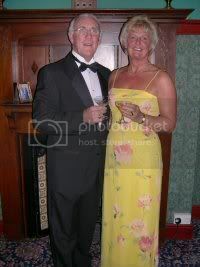 Known to all their members as Sue and John they hold FELLOWSHIP qualifications with the ALLIED DANCING ASSOCIATION, MEMBERSHIP qualifications with the I.D.T.A., and MEMBERSHIP qualifications with the U.K.A. in all Branches i.e. 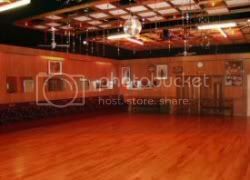 Standard Ballroom, Latin, Old Time, and Argentine Tango. Sue is also qualified in Disco. John was President of the ALLIED from 1997 -1999 and was Vice President from 1999-2001. The Centre has 4 teaching studio's and a large main ballroom for practice 7 night's a week. 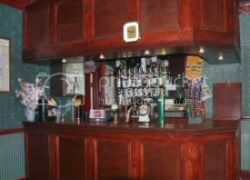 Also on site is a licensed bar and bar lounge and to the rear of the lounge a garden patio where drinks can be taken. A year after the Rolex GMT-Master II Ref. 116718LN, rolex replica sale released the half-gold, or two-tone, version known as the Ref. 116713LN; and in 2007, finally released the all-steel Ref. 116710LN. While no one could argue about the technical refinements of the new Rolex GMT-Master II watches, one thing that was conspicuously missing breitling replica from these new watches was the bi-color bezels that made the older Rolex GMT-Master watches so recognizable. In case you were wondering, the older models had aluminum bezel inserts, which could be quite easily replica watches printed. But ceramic is a much harder material to work with, and for a long time, Rolex has said hublot replica uk that it was impossible to make a bi-color bezel in ceramic. So, imagine our surprise omega replica watches then, when in Baselworld 2013 Rolex unveiled a new steel Rolex GMT-Master II with a blue and hublot replica uk black ceramic bezel - the Ref. 116710BLNR (BLNR for bleu/noir).